11/16 Weightloss Wednesday: Huge Weight Loss This Week! 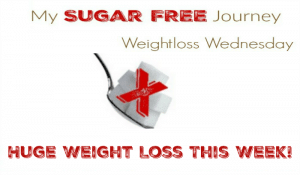 It’s time for this week’s Weightloss Wednesday! This has been such a good week because for whatever reason the weight is just falling off with an almost 5lb drop from last week. I’m not exactly sure what has changed but I’m not complaining! So this morning I was at 232.7 lbs which means I have lost 167.3 lbs total so far. Wow! It also means that I am close to meeting my next mini-goal of 230 lbs! I haven’t really changed anything this week so I can’t point to one thing and say, “this is definitely why I lost so much weight this week” but I have been able to make some headway in the overeating issue I talked about last week. I have been making a point of just putting enough on my dinner plate to fill me up instead of trying to eat everything I cooked. Leftovers are a good thing! It is encouraging to see progress on this front because it has been such a mindgame to try to keep myself from overeating or eating whatever ends up in front of my eyes. This is encouraging because my goal is to not only heal my body from the decades of poor nutrition but to also heal my mind from poor eating habits I have allowed myself to fall into over the years. On the exercise front, I hurt my back just a bit a few weeks ago and stopped pretty much all exercise until I healed from that but the pain went away at least 5-7 days ago but I haven’t gotten back in the rhythm of regular daily exercise yet. I noticed yesterday that most of the gains I had made in my leg and arm muscles were fading so I really need to get back on the ball in this department. I like how those biceps looked! How are you progressing? Let me know in the comments below! 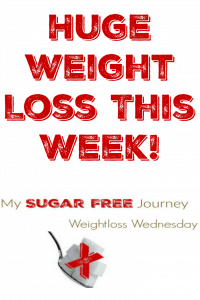 NEXT POST Next post: My Sugar Free Journey Podcast – Episode 17: How I Lost Over 165 Lbs! i think you answered your own question on the big weight loss….perhaps you have lost some muscle. Maybe but 5 lbs? That seems huge.